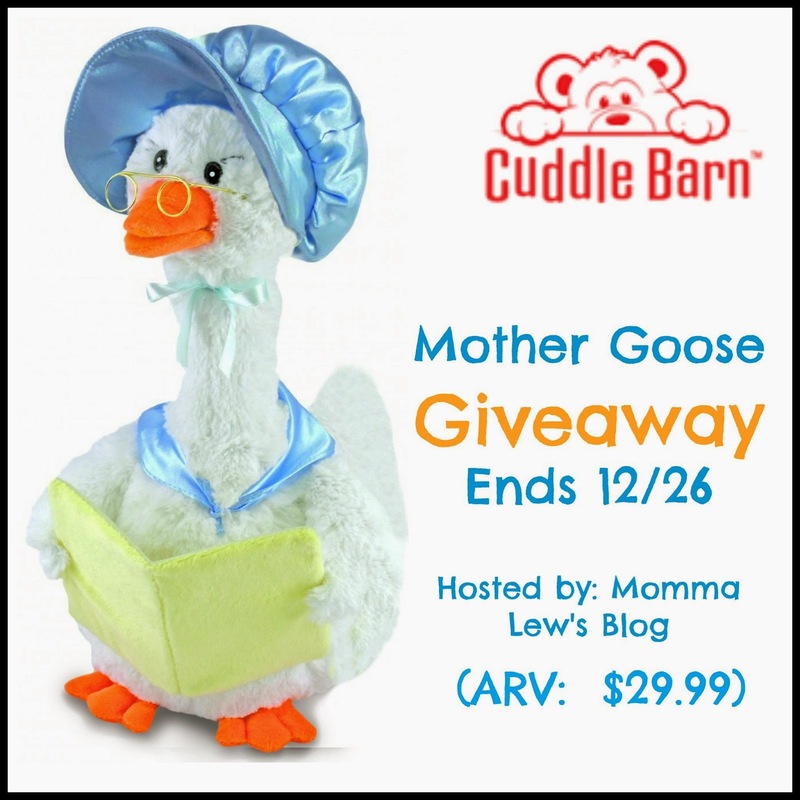 Cuddle Barn Mother Goose Giveaway! I am always on the hunt for cute, new gift ideas. I like gifting things that are unique, things that not everyone has. Recently, while browsing on Facebook, I came across a company called The Cuddle Barn. After looking through their website, I just fell in love with their singing, talking and animated plush animals! Their mission? Making YOU smile! My daughter just loves toys that talk to her, so I knew she was going to be thrilled when I showed her the Mother Goose I received to review! She talks for over 90 seconds in the sweetest, calmest voice telling your child their favorite nursery rhymes! She reads: “Jack & Jill”, “Hickory Dickory Dock”, “Little Bo Peep”, “Humpty Dumpty” and “Twinkle Twinkle Little Star”. I love how at the end, she tells your child Good Night. Just Play’s Doc McStuffins’ Get Better Check-Up Table – GIVEAWAY! i just love the festive dog…so cute. Another Cuddle Barn product I would like to own is Chuey Bamba. I like the Chuey Bamba.